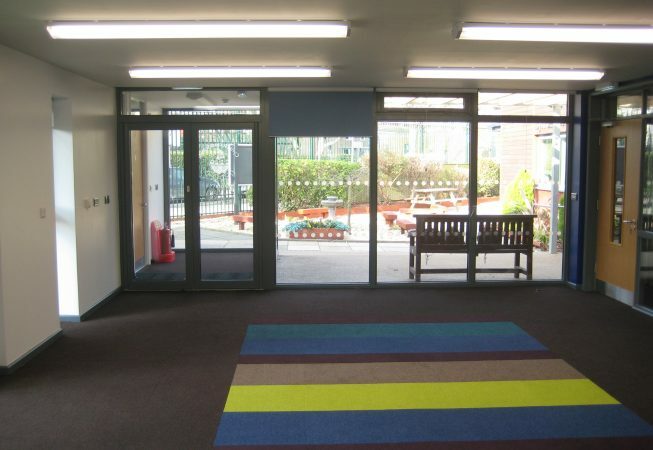 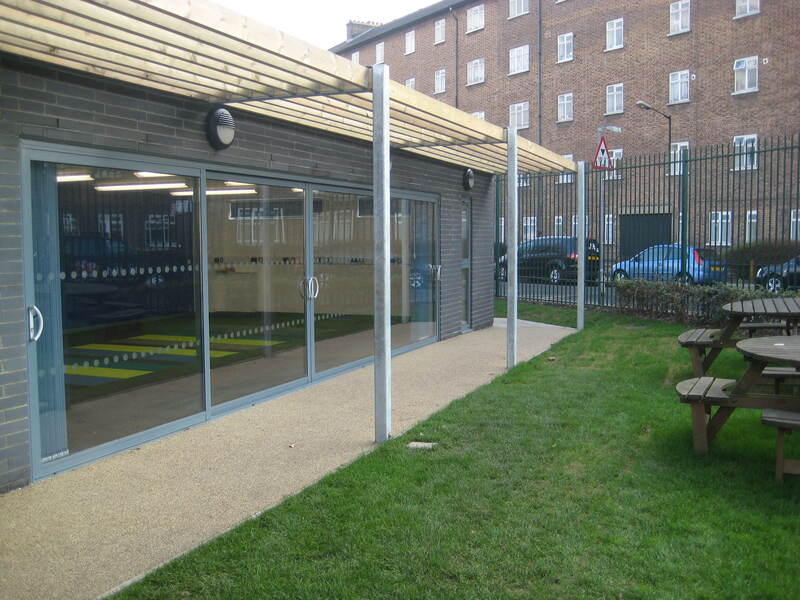 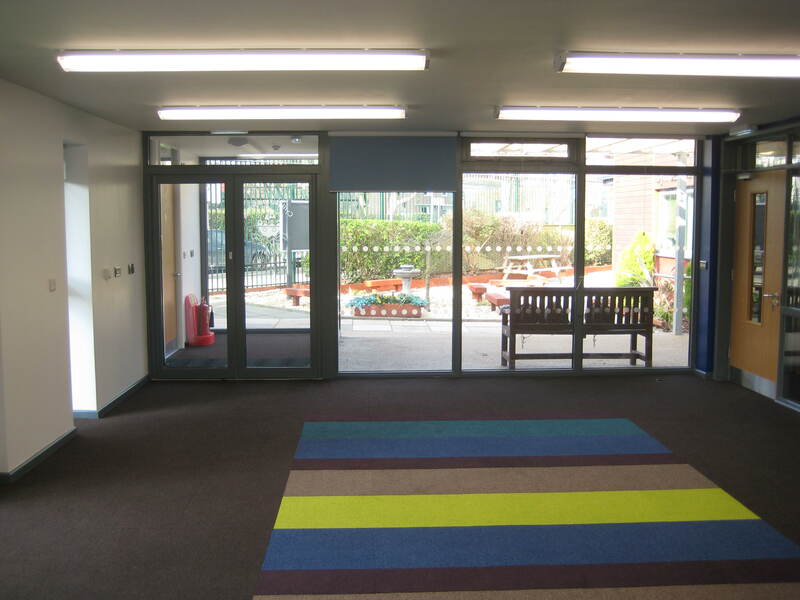 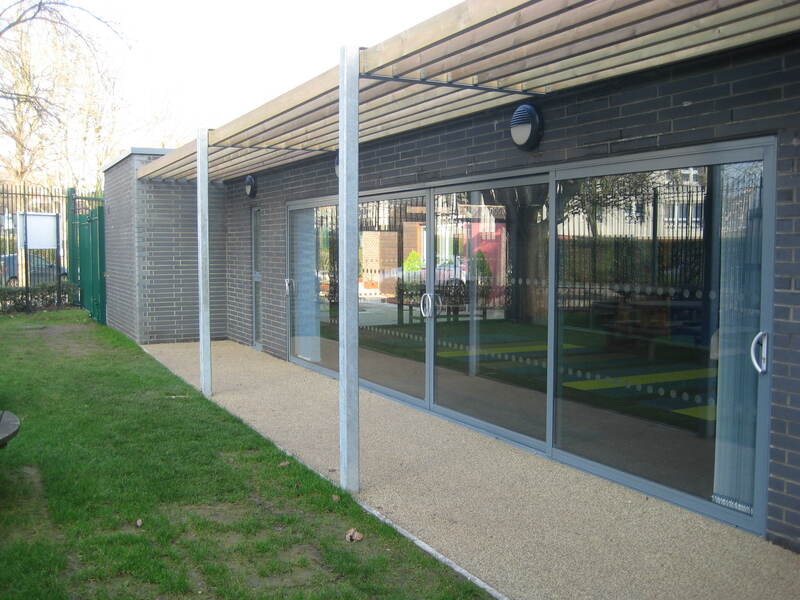 A single storey extension to the existing hall at the school to form a library. 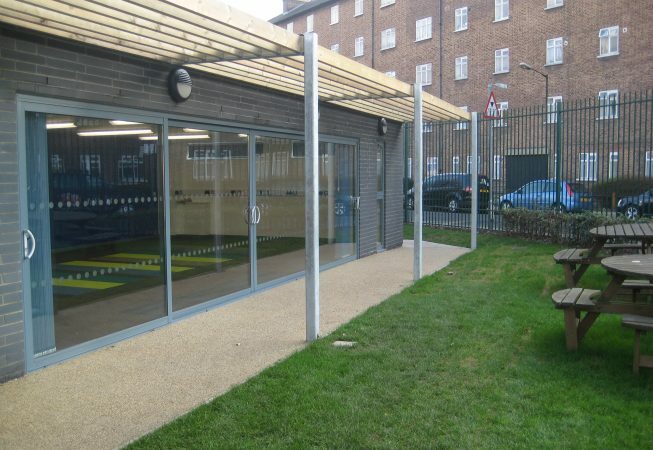 The new extension design encompassed new piles foundation with ground beams supporting a reinforced concrete ground floor slab and load bearing masonry cavity walls. The rear elevation included a set of glass sliding doors. 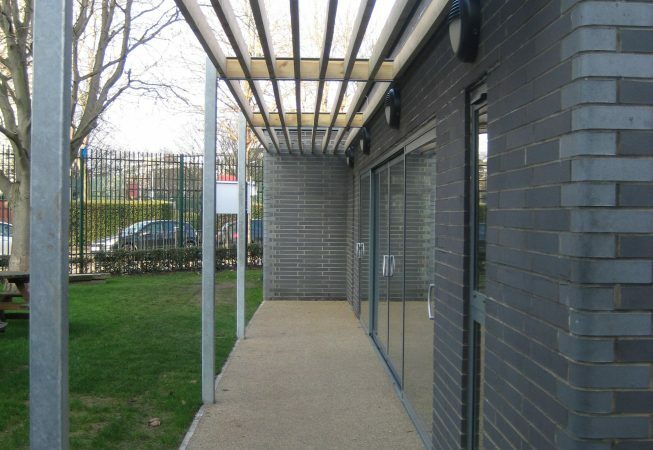 Above the opening for the doors, a new steel frame is installed to carry the roof loads. 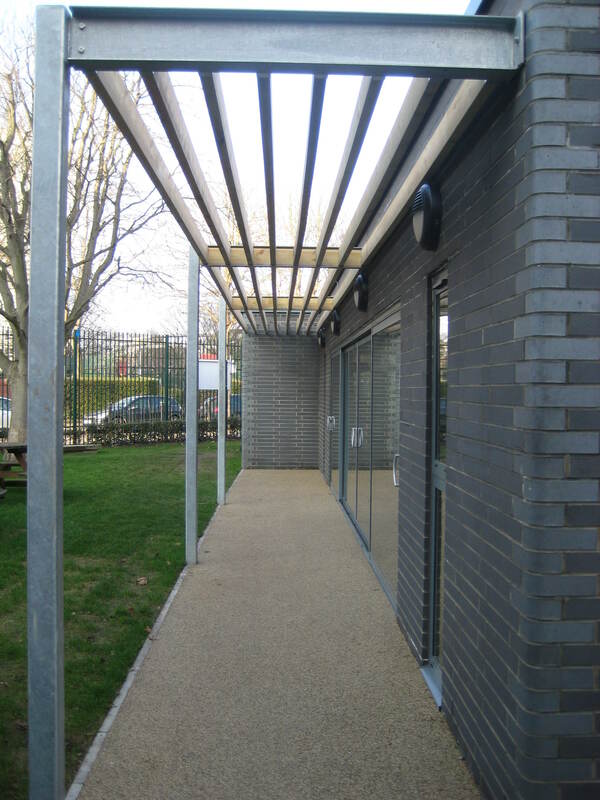 The roof structure consists of Kingspan metal joists and profiled deck and spans from the existing rear wall of the building onto the new cavity wall.